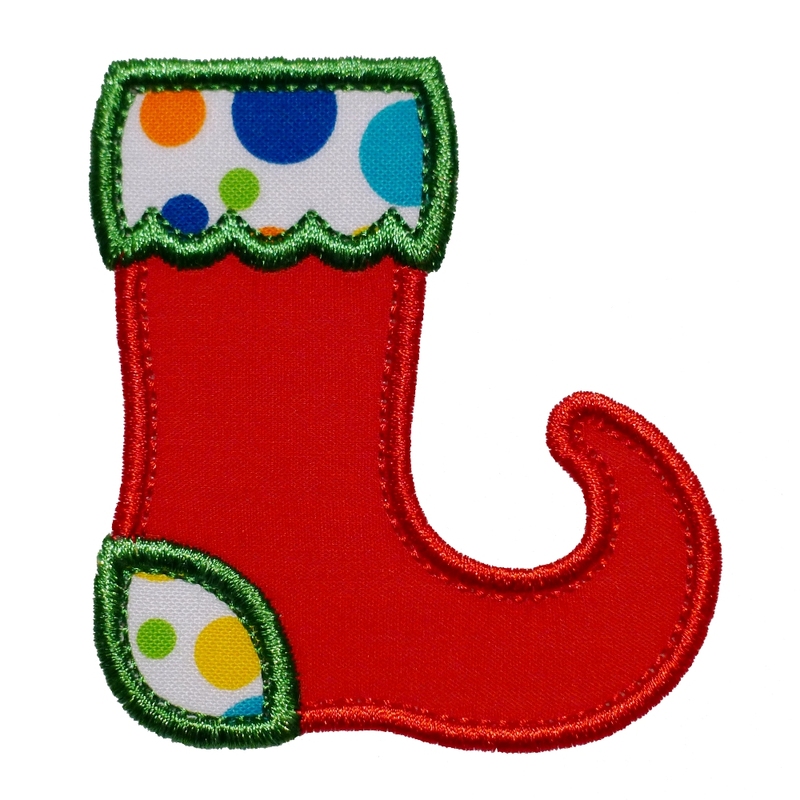 With a scalloped top and winkle-picker toes, this applique design is perfectly festive! 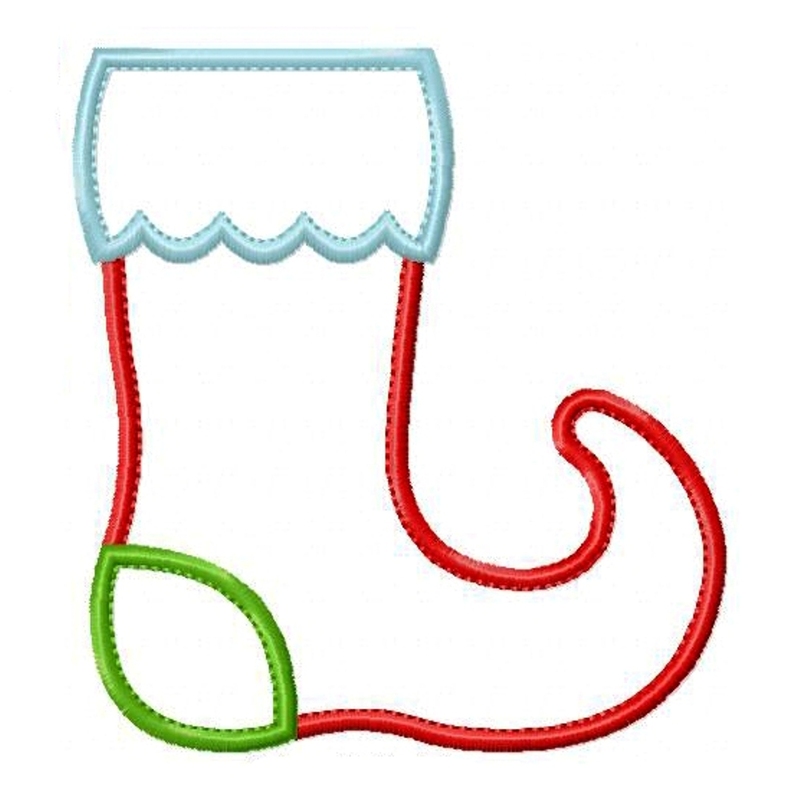 Add this wonderful Elf or Santa stocking shape to all of your Christmas projects - childrens garments, table linen and your apron. 4x4 hoop - 3" x 2.79" and 3.93" x 3.65"
5x7 hoop - 5" x 4.64" and 6" x 5.57"
You can find this design in my ETSY shop.